Omegle is a unique website that can connect you to random strangers anonymously through text or video chat. Their interface is simple and the color scheme consists of mainly blue and white. You are not immediately taken into the chat experience but, instead, are given some options. There are a number of features to this chat site that you wouldn’t usually find in one place if at all. You can meet people with common interests by typing what you like or connecting to your Facebook likes. From there you can either choose to start a Text chat or a Video chat and the chats will always be one-on-one. A unique feature is the Spy mode, where you can ask a question and watch two strangers discuss the question you submitted. In turn, you can choose to discuss a random strangers question with another stranger. The questions that typically popped up in our testing were a mix of good ones and ridiculous or typo filled questions. Omegle also offers an app for the iPhone if you want to chat with strangers while on the go. Since this is a highly anonymous website, the type of users that you encounter will be very diverse which also means that you might run into a lot of jerks and/or perverts. Omegle does not claim any control over the content that you may encounter, but they do state that 13 and under users should not use the site and anyone under the age of 18 should at least have parent/guardian permission before beginning a chat. You can try just the text chat if you’re worried about what you might encounter in the video chats though, and if you are searching my common interest you are less likely to encounter someone unsavory. The Omegle website has several ads on it, both on the main page and within the chat pages. Some of them are adult content ads and a little distracting. Despite this, Omegle is an interesting site to try out. We would recommend anyone 18 and older try out this website. It’s a lot more convenient and interesting than a regular chat room website and offers some interesting features that you won’t really find anywhere else. It can certainly be a quick fix to boredom and help you socialize more without sharing too much information with strangers. None, This is a Great Site! Omegle has far too many desperate men looging for young girls. 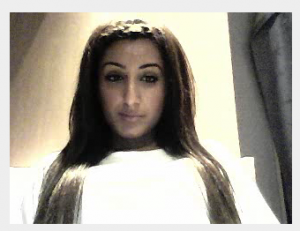 Webcam only.- Or use a free webcam uttliiy that allows you to play around and mess with its features e.g. > display a picture instead of the webcam session so people see a image you choose to show instead of you on the webcam.